Noscotek, a provider of IT solutions that enables more efficient and paperless business operations, has been granted exclusive reseller distributorship for Laserfiche products in South Africa. As a certified Laserfiche distributor and experts in Enterprise Content Management (ECM), they are highly qualified to provide support for all your Laserfiche system requirements. The Business Development Manager at Laserfiche International, Denise Choi has commented with her announcement on 23 December 2015 that “with Noscotek’s expertise and contribution to the ECM market in South Africa, we are confident that Noscotek will deliver excellent service and support to all Laserfiche customers”. Sheldon Halgreen, Solutions Director at Noscotek “would like to assure all Laserfiche customers that we have Gold Certified Laserfiche experts with many years of experience, ready to assist with any queries they may have. We pride ourselves in our ability to deliver quick and efficient service to our clients and are committed to a smooth transition as we take on these new customers”. Noscotek’s rich expertise spanning across many verticals and industries helps them gain sharper insights into customer needs. Their unique combination of strong management focus, breadth of capabilities, and flexibility in engagement is what makes their customer relationships a success. 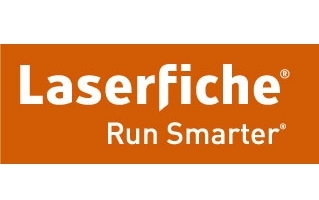 Ricky Pilz, Sales Director at Noscotek has added that “we are excited about the launch of Laserfiche Version 10 which has just released now in January and would like to encourage customers to reach out to us for renewal of their LSAP (Laserfiche Software Assurance Program). We have a variety of viable recovery options for them, including upgrades to Laserfiche Version 10”.